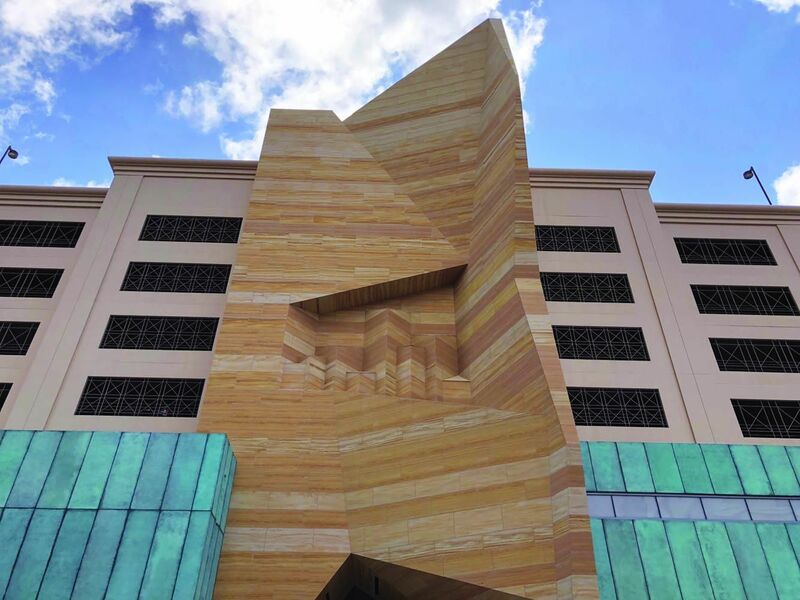 Procurement and fabrication of the stone for the museum were both large undertakings due to the exacting veining and style requirements of the design and the complexity of the required cutting. 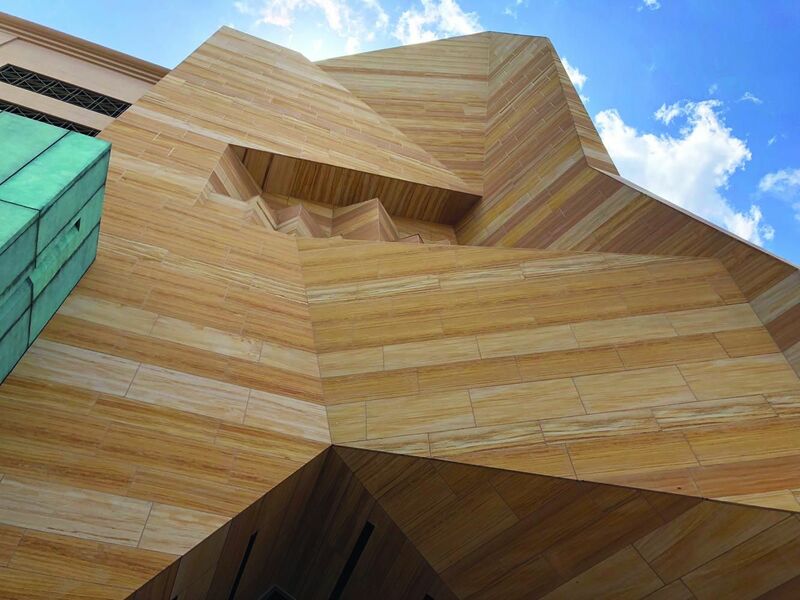 A team of experts representing all aspects of the job ﬂew to India to agree on a range of color and texture for the different elements of the building. The complex cutting of angled pieces, in addition to the vein and shade matching, required that each piece for every row had to be cut from the same block. There was a massive amount of pre-planning each block and then pre-laying the entire project prior to shipment; a photo of each section had to be approved prior to packing. Because of the exact matching required, ensuring that all pieces arrived intact was critical to the project success. In total, 31,500 ft² comprising 4,406 unique panel pieces with thicknesses ranging from 2cm to 5cm were shipped to the project site. Installation was no less complex, taking 10 months to complete. 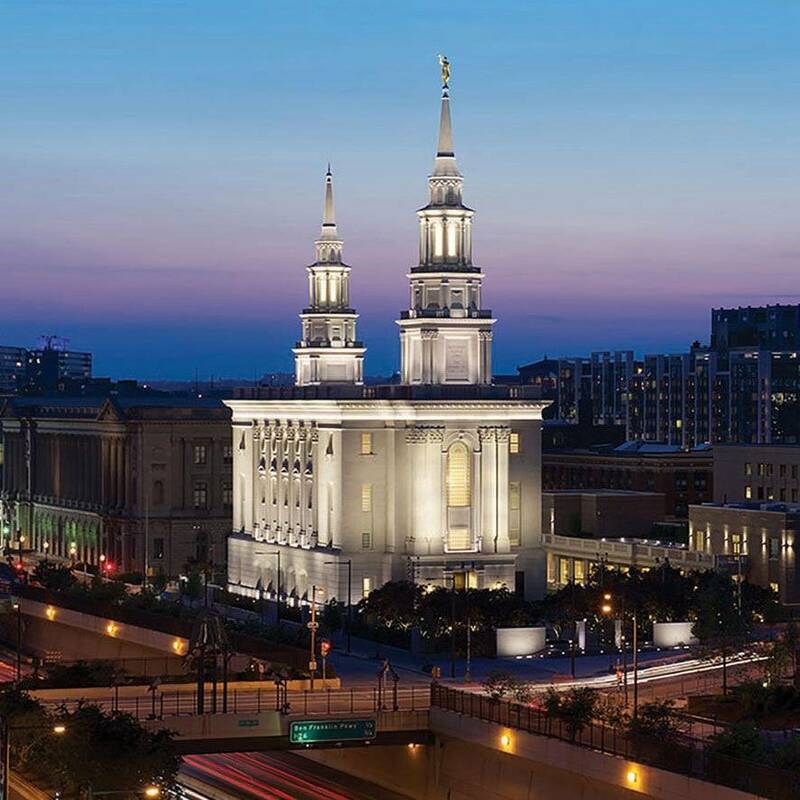 Located in the heart of this historic city and clad in cut stone, the temple is highly detailed in the Neoclassical revival style of American Georgian architecture. The massing of the building responds to the adjacent Renaissance Revival icons of the Philadelphia Free Library and the Family Courts Building. 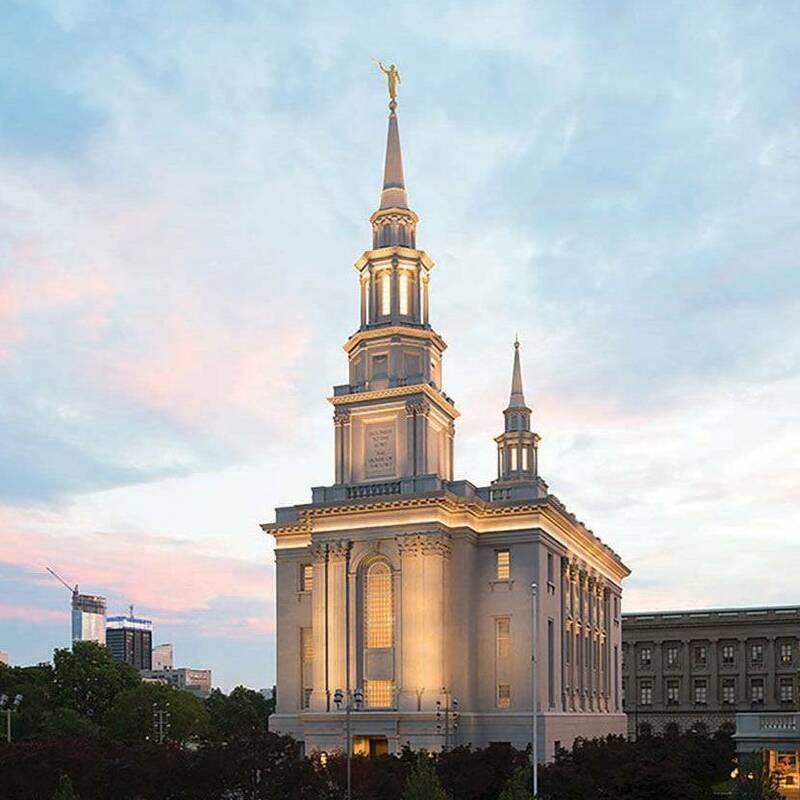 The American interpretation of late-Georgian style was selected as a guide for the temple’s architectural interiors and was meant to reﬂect ancient notions of democracy, citizenship and freedom of religion. Classical architectural orders are used to emphasize the patron’s journey through the temple. Beginning at the entry, the detail of the trim and columns is in the stately and simple Doric order. Spaces become more formalized as patrons travel through the second and third ﬂoors as the trim and columns become slightly more embellished in the Ionic order. Light colors and the rich ornament of the Corinthian order are reserved for the most-reverent spaces. 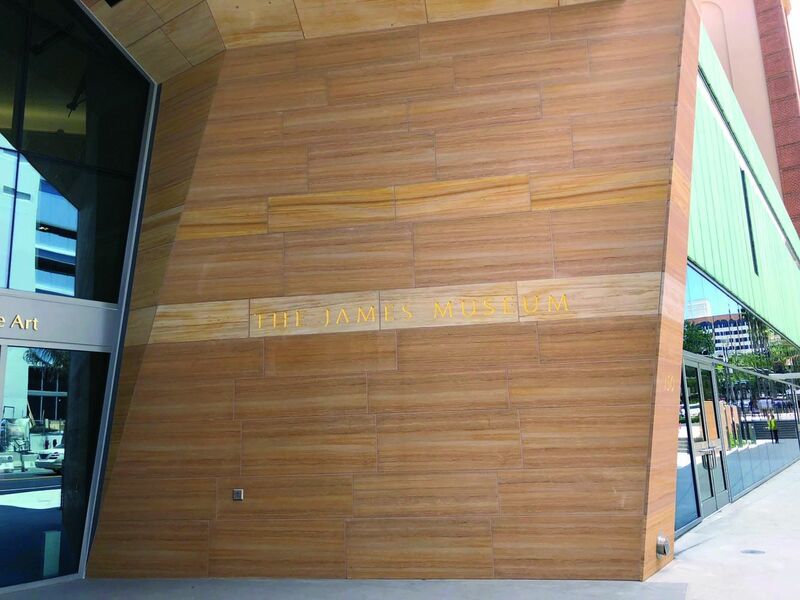 The architectural drawings and details for the exterior envelope were done in considerable detail, shortening the time and effort needed to prepare shop drawings and cutting tickets. 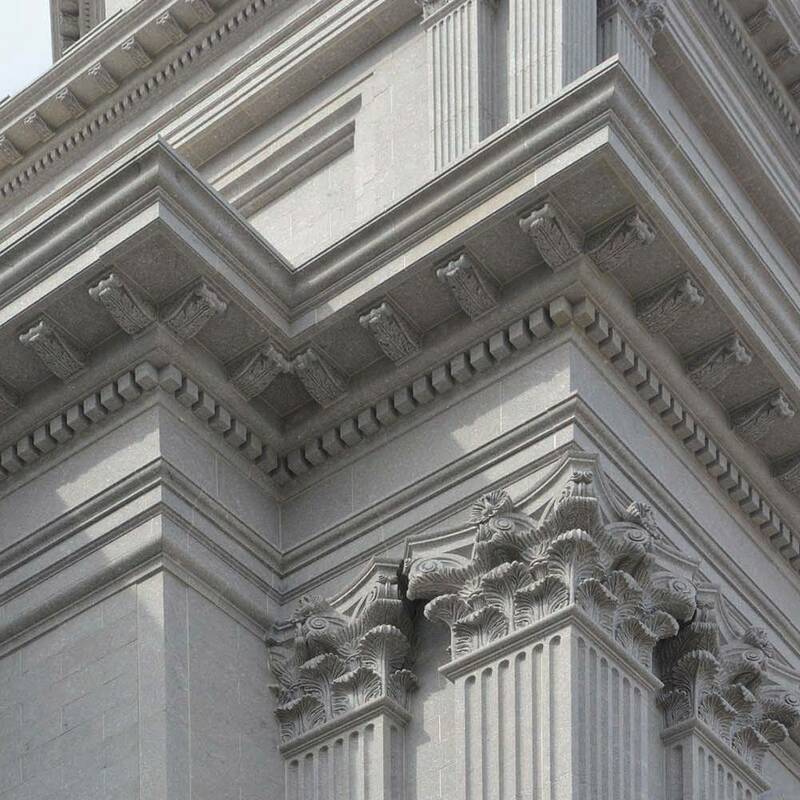 The large ﬂuted pilasters and carved acanthus leaf capitals are full-thickness cubic stone. The ornamental window surrounds, rusticated base and the two stepped towers are all in cubic stone. 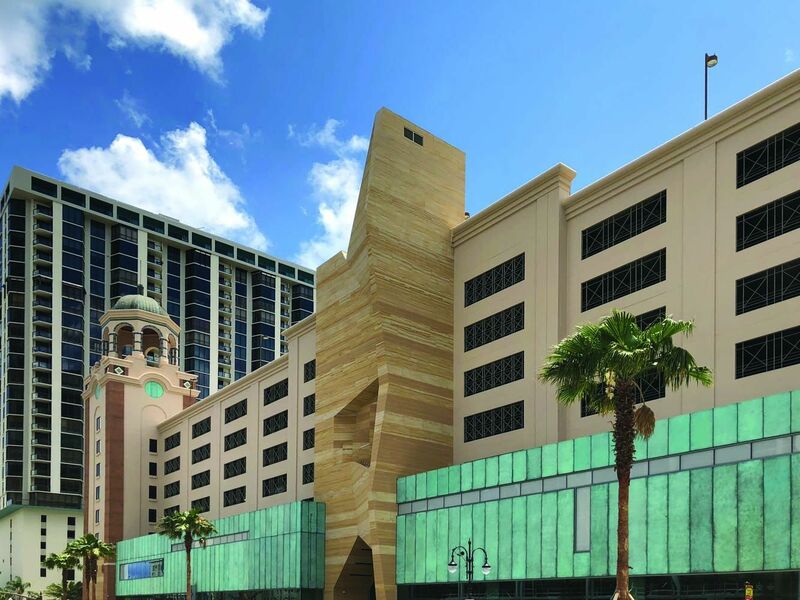 The design team worked carefully with the structural engineers to design the building to be able to carry the heavy loads of the thick stone veneer— some of the pieces weigh over 5,000 lbs. 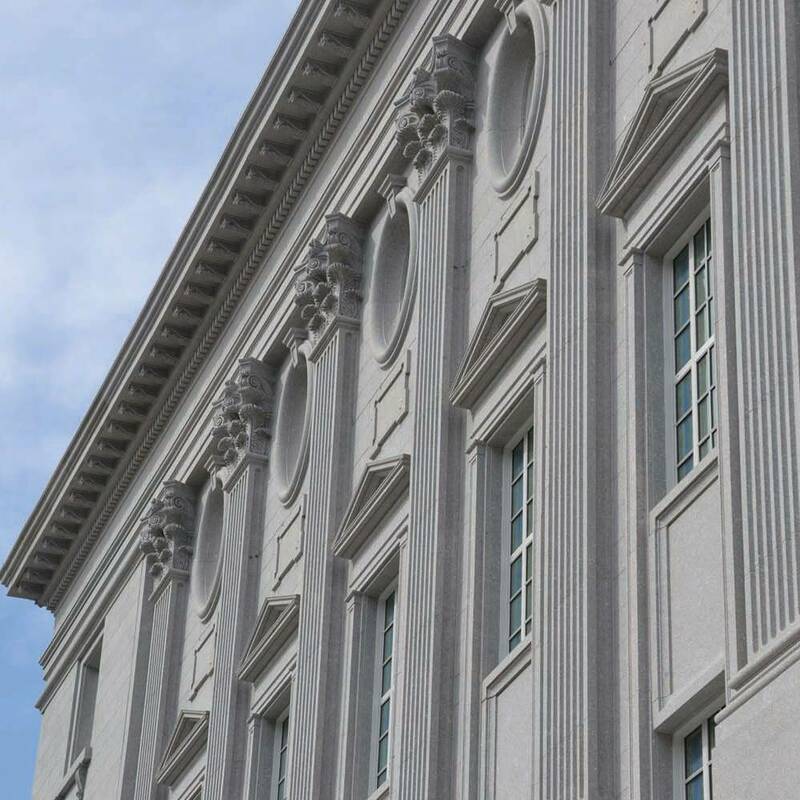 A deliberate effort was made to have this building be true to the historic classical details, but to reduce expense, an effort was also made to maximize the use of thinner (3cm) veneer stone.